From the Beaulieau-Sur-Mer train station we set off early for Santa Margherita, a resort/fishing town on the Italian Riviera. 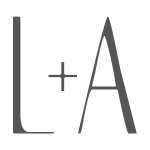 It would be our home base for a few days though this detour between a two-week stay on the French Riviera and a road trip in Germany almost didn’t happen. 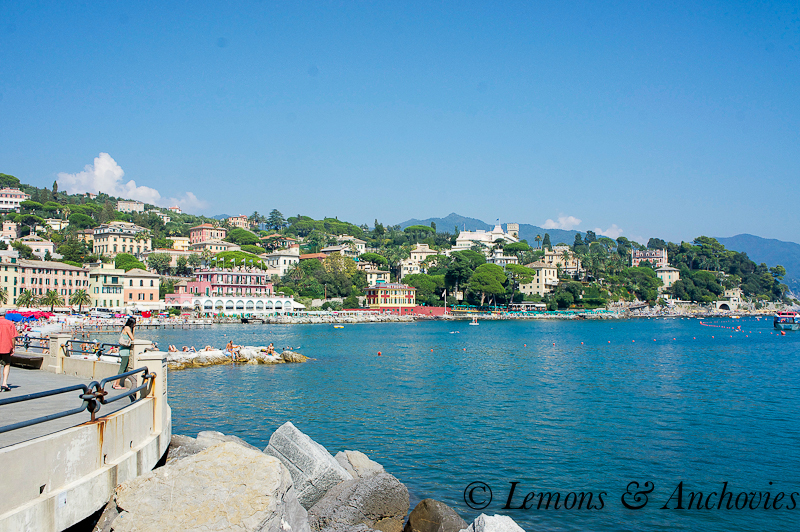 My husband and I have visited Italy on numerous occasions–content as we were pretending to be locals on St. Jean Cap Ferrat (the local establishments had begun to remember us) we weren’t too motivated to pack up for a quick jaunt on the Italian side. But this is what we have done in the past; usually stopping for just a few days, no more than a week at a time, to see as much as we can wherever we might be. This flexible style of traveling has allowed us to discover and fall in love with certain little corners of the world and to those places we have made sure to return. …but our grumbling stomachs demanded that we stop for lunch first. Behind the pastel-colored, trompe l-oeil frescoed buildings lining this part of the Ligurian coast was Santa Margherita’s city center. 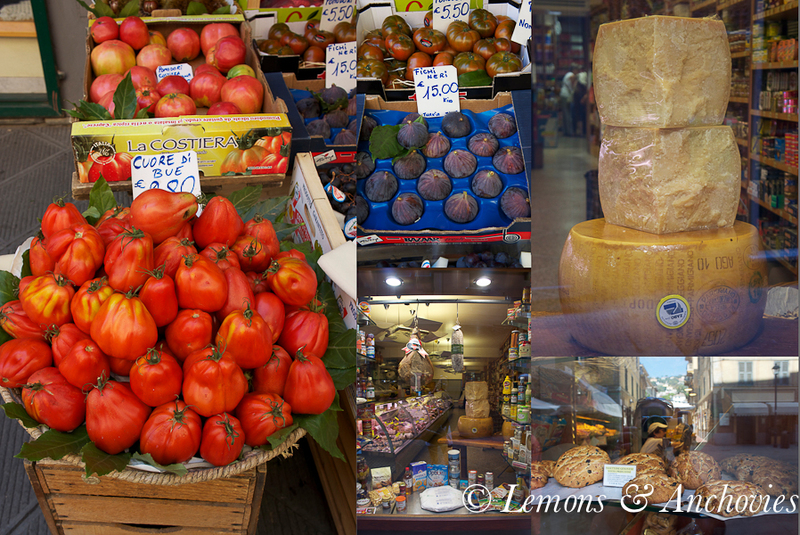 A maze of old streets and alleys revealed one gem after another, tempting me to linger at the bakery displaying local sweets, or the specialty shop with rows and rows of cured meat, cheeses and fresh pasta, the church, the fruit stands–I wanted to visit them all. The town was busy but we were able to secure on outdoor table for a much-needed lunch of salad and pizza with a carafe of local wine. We never made it to the beach that day–it was too crowded for us–so we lounged in front of the hotel swimming pool and planned the next day’s adventure. We had planned to get up bright and early the following morning. Our guide book described the few miles between Santa Margherita and Portofino to be a pleasant walk but even at the early hour it promised to be a scorcher . We ended up taking the short, cooler and scenic boat ride instead. 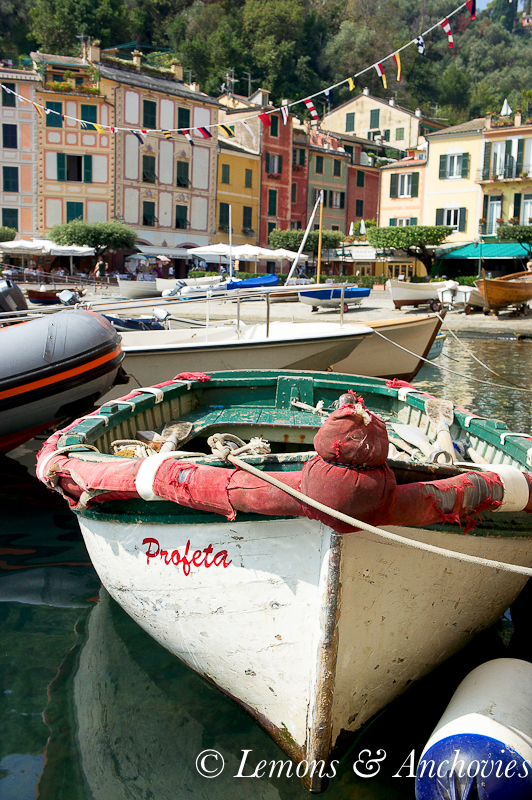 I have wanted to visit Portofino for a long time, since seeing the colorful fishing village featured in one of my issues of Vogue magazine in the early 1990s. I remember Christy Turlington (when the teenaged me used to idolize the original supermodels) in Riviera-chic fashion: nautical striped tops, shorts, a flowing red skirt, espadrilles. I couldn’t imagine a more glamorous place at the time. As the ferry got closer, Portofino didn’t disappoint. Sizable villas peeked out of the lush greenery covering the hills surrounding the marina. 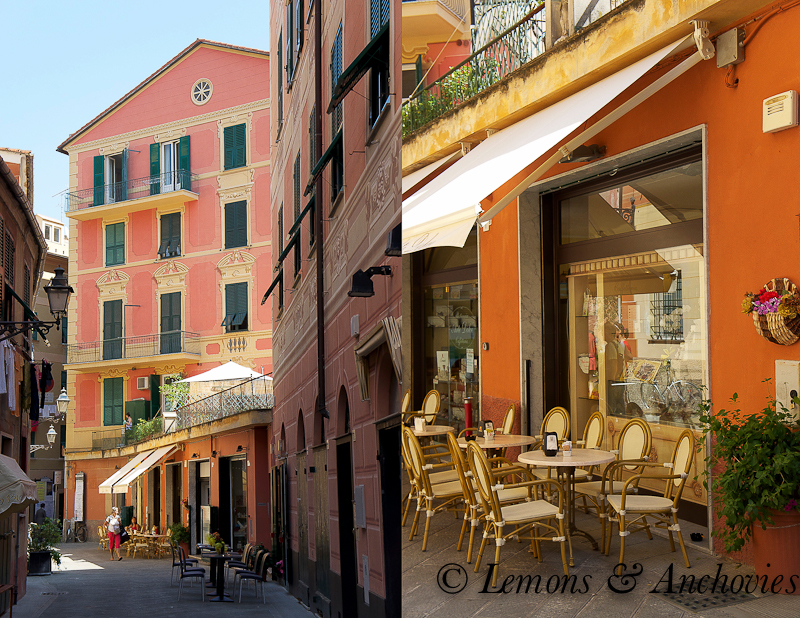 As in Santa Margherita, pastel facades decorated the coastline, lending a good dose of charm and leaving one hungry to see more. Up close, Portofino was just as beautiful as I had always imagined but the high-season tourist traffic took away some of its appeal for me. 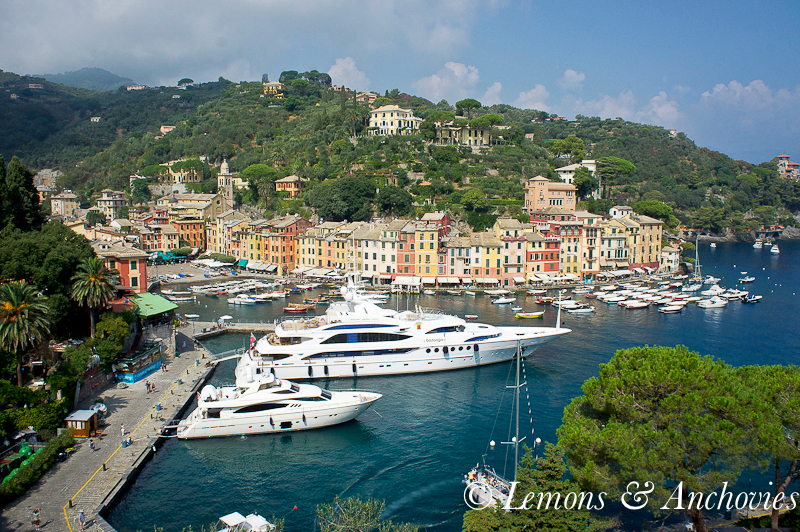 Don’t misunderstand, I felt absolutely fortunate to be there but I couldn’t help imagine what Portofino must have been like when it was just a little fishing village instead of the top destination it is now. The village is very small so it didn’t take long to scope out the shops and snap a few pictures. After a leisurely lunch of a salad topped with grilled mixed seafood my husband and I broke away from the crowds and walked up the hill to the Church of San Giorgio. From the church we continued our walk to a few other listed spots in my guide book which allowed for a bird’s eye view of the village below. And despite any negative observations I may I have made, Portofino is still one of the most beautiful places I’ve ever seen. We were back at home base by mid-afternoon and spent the rest of the day becoming more closely acquainted with Santa Margherita. We like to see how the locals live so we ventured out of the areas where the tourists are concentrated and walked along the residential streets. 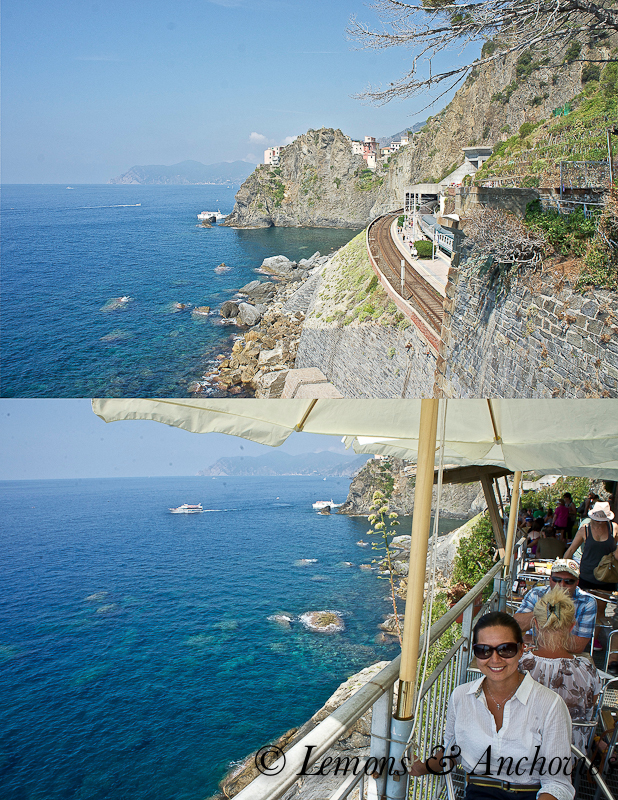 Starting at Riomaggiore we walked along Via del Amore, enjoying the breathtaking vistas on this cliffside trail. Expansive views of the blue water and the neighboring villages in the distance were impossible to look away from. I clicked away on my camera so much that the battery died long before I was finished taking pictures for the day. And back to the water. Whenever my husband would spot access points to the ocean, he immediately made a beeline for them. Before I could catch up to him his flip flops, hat, sunglasses and shirt would be in a messy little pile. I’d look down from the steep steps leading to the rocks below or to a boat launch where other tourists have flocked and my husband would be right there with them, smiling up at me as he floated on the warm Riviera water. 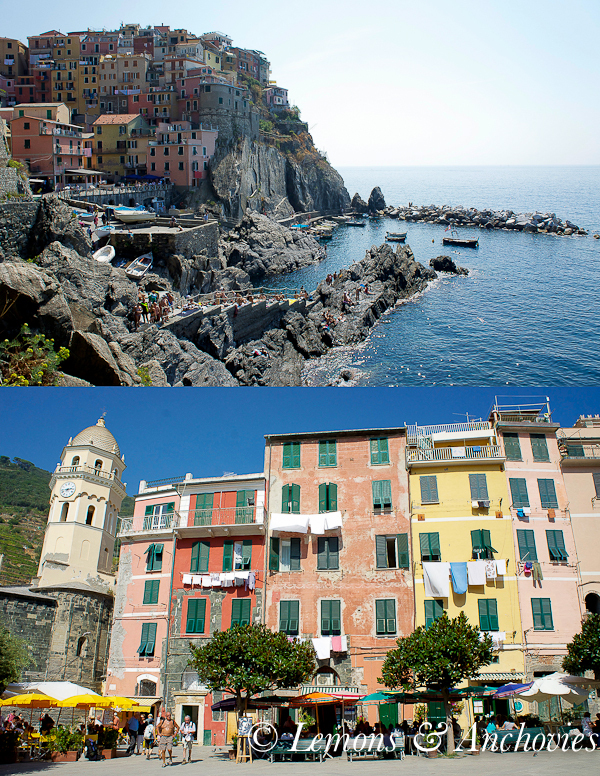 When we reached Manarola we found it to be even more crowded but seeing the hilltop homes took my breath away. Walking towards the water, away from the center of the village, was a tiny boat launch. Sunbathing tourists lined each side of the concrete ramp and just when I thought I would hear my husband say “It’s too crowded here, let’s go” I looked over at him and all I saw was childlike glee at finding the happiest place on Earth. I’ll never forget that moment. It was as if all the people around him weren’t there. 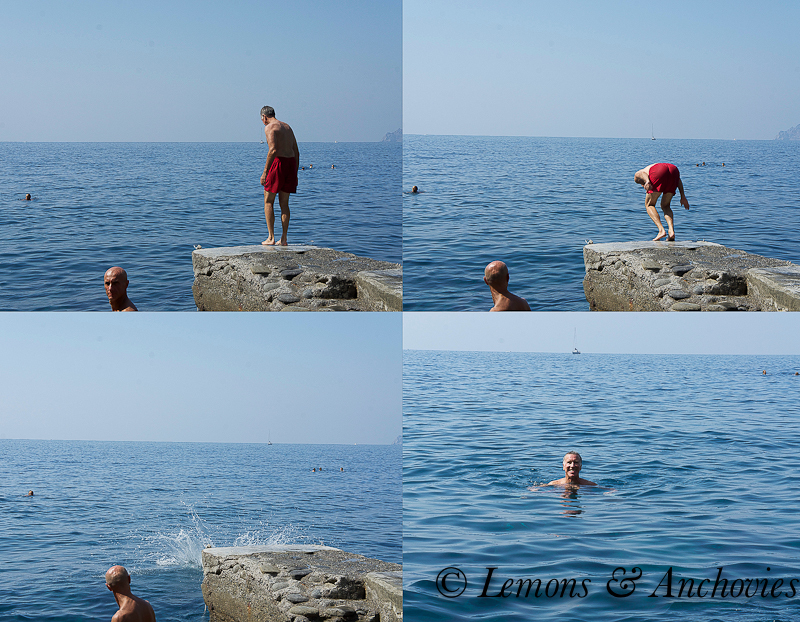 He reached the water, tip-toed between the sunning tourists and jumped right in. All smiles he was as he floated and bobbed on the water. I know the feeling–I love being in the water just as much as he does but during that hour nothing could beat seeing my husband so blissfully happy. It was mid-afternoon by the time we ventured back to the village for some lunch. Crowds lined the streets–late comers to the village and backpackers returning from their morning hike. A good number of the restaurants were either too full or no longer accepting guests for lunch. But we spotted one available outdoor table that had just been cleared offering beer and a limited menu hanging from a chalkboard on the wall. In my phrase book Italian I asked if they were still open. 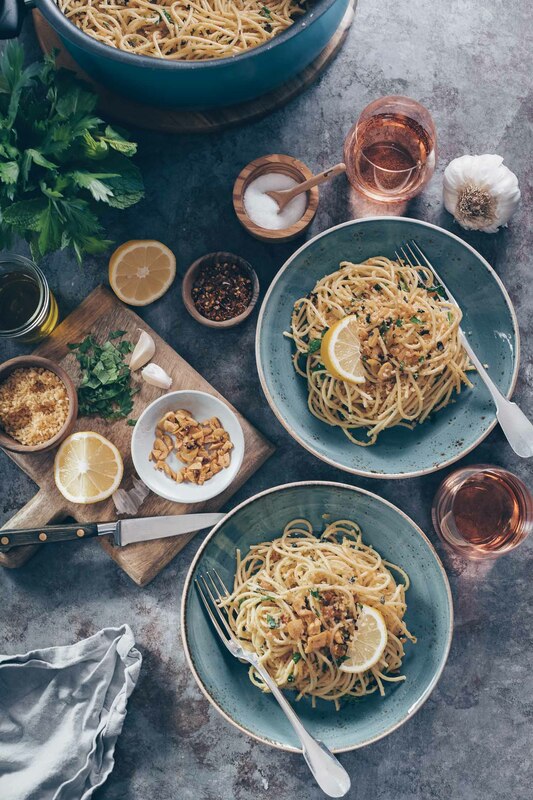 We were really hungry and once I saw the second item on the menu, Spaghetti Acciughe (Anchovies), I wanted nothing else, so the friendly answer in affirmative I received was a huge relief. What came out was a generous serving of spaghetti in tomato sauce with the umami punch of anchovies. My husband ordered the same and in no time at all the plates you see above were empty, washed down with an ice-cold glass of beer. 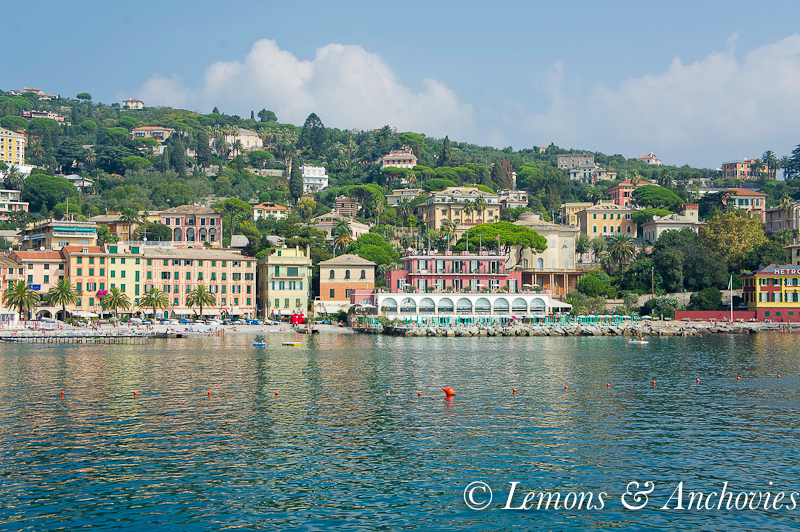 We returned to Santa Margherita late that afternoon very happy not to have missed this side trip to the Italian Riviera. 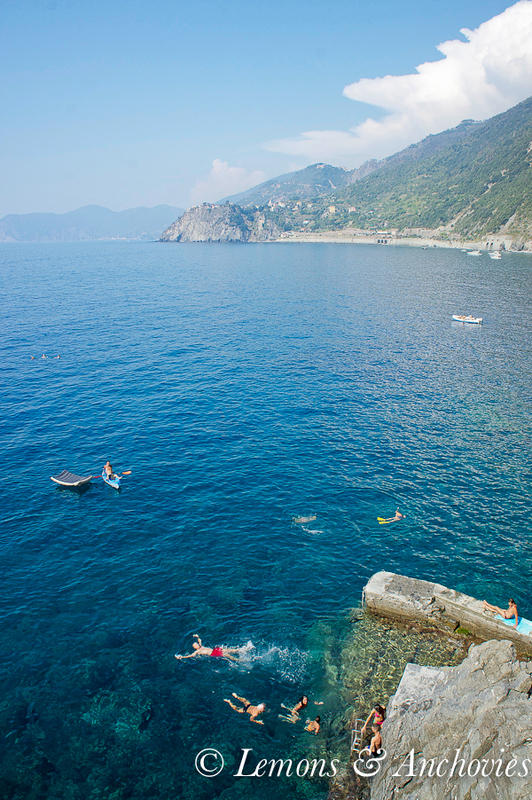 This part of the Ligurian coast deserves more than just the few days we allotted to it. We had to return to Nice to catch a flight to our next destination so we hopped back on a train bound for France the following morning. We wanted an easy, relaxing day between the train ride from Italy and the flight out of France–we got it but not without a little drama along the way. The trip back to France proved to be an adventure the next day. We’ve traveled by train a lot in Europe and have largely been lucky, avoiding mishaps and major delays. All trains crossing the border between France and Italy must stop at Ventimiglia. When I entered the train station to purchase our tickets for Nice, the electronic board displayed “Cancelled” for all the trains heading to Nice. At this point we might have been able to hire a driver or take the bus if we had to but we weren’t concerned since we’re familiar with the area and weren’t pressed for time. The ticket vendor said due to a problem with the tracks we could only go as far as Monaco. Fine. We were familiar with the bus line in Monaco and knew that we could get to Nice (or at least back to Beaulieu-Sur-Mer for the train) from there. A vacationing German couple who had a flight to catch in Nice ended up joining us. I won’t bore you with the play-by-play once we arrived in Monaco but on the day we were there, multiple events were going on. Traffic was very heavy. The buses were running but they were unusually few and far between. We waited over an hour at one bus stop–one bus came, empty, but the driver decided not to stop! At that point our German companions began to get nervous about their flight. We walked part of the way to the other bus stop up the hill hoping to better our chances of catching a bus with vacancies but it was so hot that we ended up returning to the first one. The taxis were full. Finally, finally my husband decided to flag a car down. If I remember correctly the driver was dropping someone off a few yards from the stop. 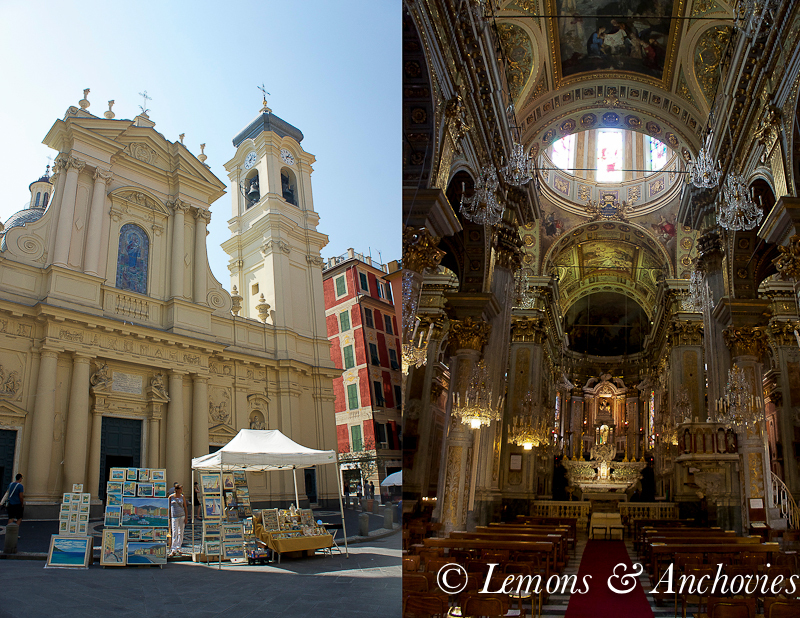 At this point my husband was willing to pay any price for a ride back to Nice and for 50 or 75 euro–a bargain after the long day–we secured a private ride to our hotel in Nice. This is my version of the dish from Manarola. 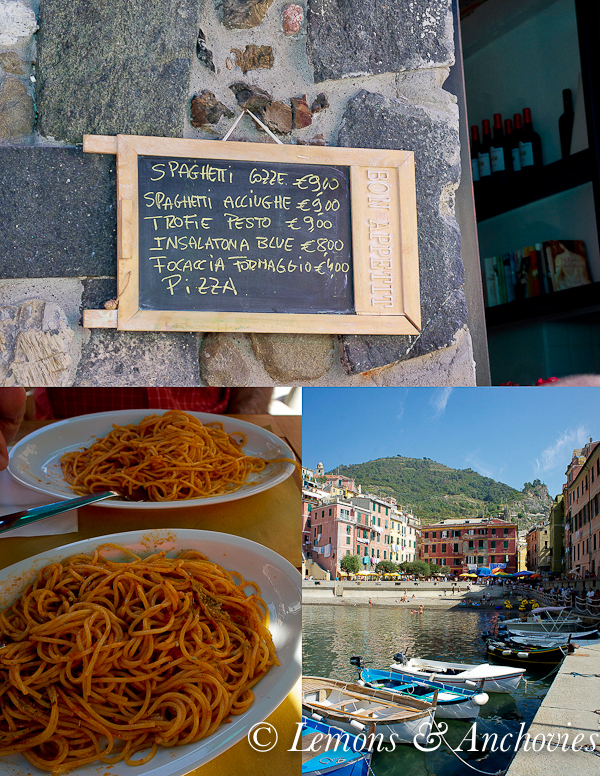 It’s simple, humble and each bite filled me with memories of our short visit to the Italian Riviera. Fresh tomatoes, garlic, fresh herbs and anchovies are all you need to make this satisfying dish. If you’re on the fence about anchovies I encourage you to give them a try. They don’t taste fishy but they do make a simple bowl of pasta sing with the depth of flavor they provide. 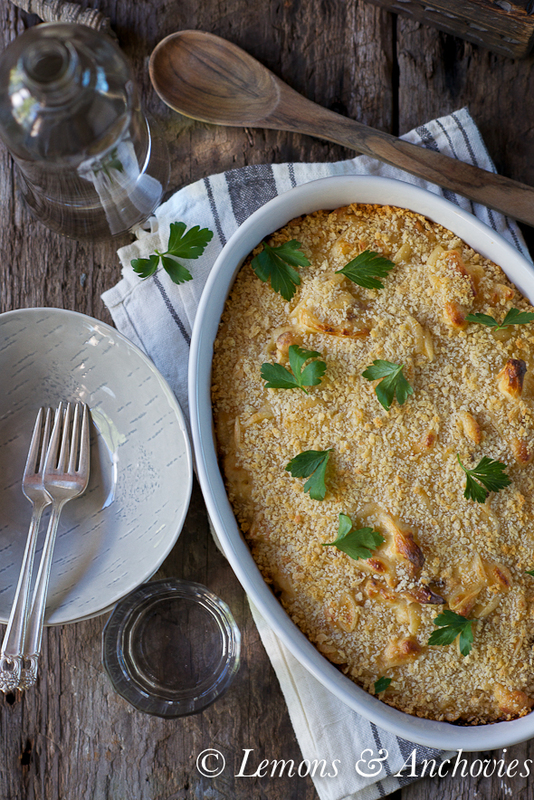 Each bite of this easy, humble dish brought me back to that special day on the Italian Riviera. While the pasta cooks, heat the olive oil (you can start with a little less and add as you go) in a skillet large enough to hold the cooked pasta over medium heat. You can add the shallots, garlic, anchovies, herbs and red pepper flakes all at once and cook until the anchovies dissolve into the oil. Just be careful not to let the garlic burn. This should take 4-5 minutes. Add the tomatoes and raise the heat a little. Cook for 6-7 minutes until the tomatoes are soft; mash them against the sides of the pan to more evenly distribute the tomato flavor. Season with salt and pepper, to taste and add more olive oil if it looks too dry. Toss in the drained spaghetti, plate and serve with Parmesan cheese. I am Italian, went with my BFF to Cinqua Terra several years ago, You captured it perfectly. Now I want to go back!!!! Thank you!!!! I ove this post, Jean. 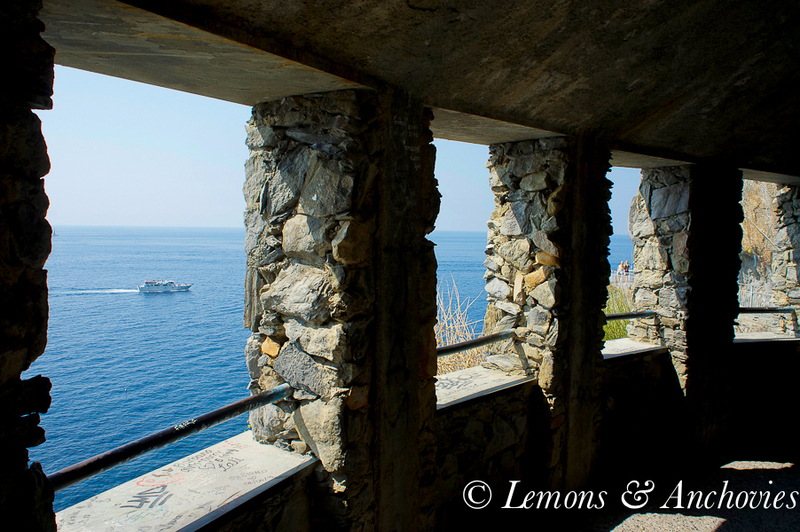 Your photos take me right back to my summer hike along Cinque Terre in 2009. I haven’t been to Portofino yet (though it’s on my list). I love the photos from that Vogue issue, don’t we all want to be that carefree girl?! 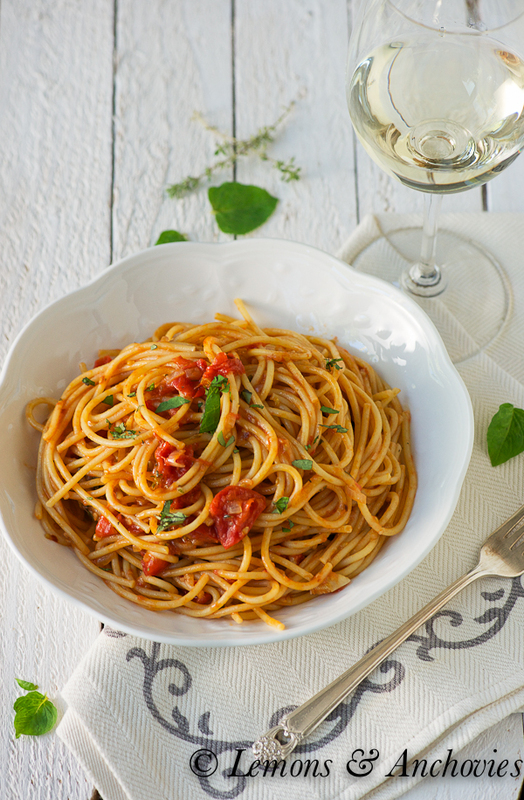 Love your pasta, it looks so fresh and easy – Italian food at its best! I am in awe of your photographs, Jean! We have yet to make it to Portofino and Cinque de Terra, but soon… When we were in Cannes a few years ago there was a transportation strike so we didn’t make it to all the destinations we had planned – we were stuck in Cannes – there are much worse fates 😉 Have a wonderful vacation! Oh Jean… thank you. I SO needed this post. I’ve been reminiscing about our trip last year, and as we have nothing planned this year, I’m needing a dose of Italy. 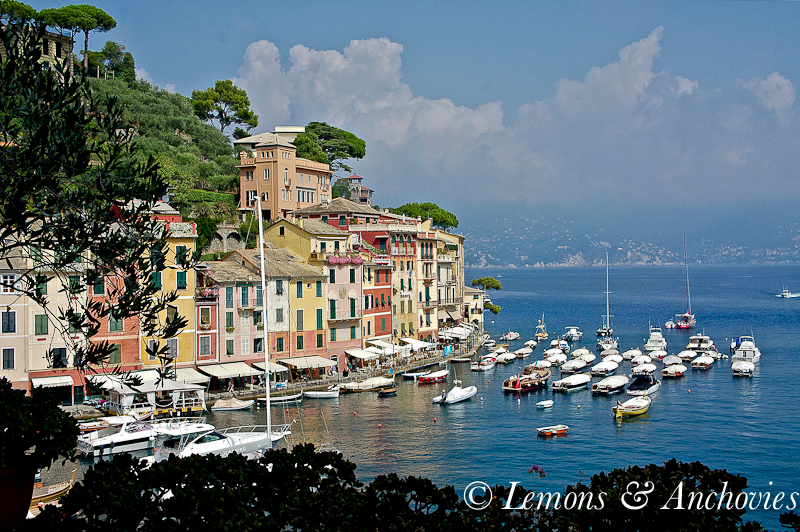 I’ve been looking at a cruise that stops at Portofino, and I’m thrilled to see your photos. Simply beautiful. Sigh…. And the pasta. It’s just what I always crave after time in Italy. Simply perfect. These are postcard worthy photos, Jean! I am sitting here longing to be vacationing in Italy. At least I can live vicariously 🙂 And I am loving your pasta. So simple and I bet that the anchovies add such incredible flavor. Absolutely beautiful! Gorgeous photos! 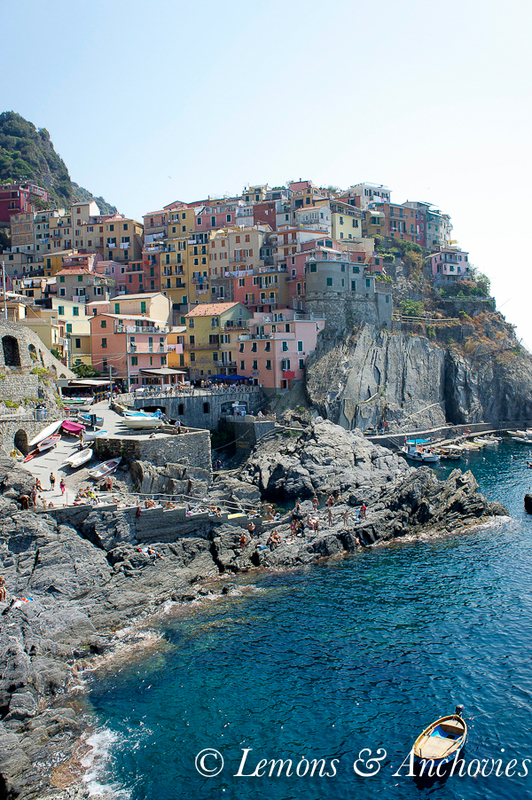 Cinque Terra is on my bucket list. I went on a trip the Amalfi Coast this past March and all of your pictures (and delicious pasta photos) are making me wish I could go back immediately. Are you sure you couldn’t use an indentured servant that you bring along with you on your trips? Your photos and the way you captured the area are spectacular. I guess I’m just going to have to go back to dreaming about making it over there. This will probably be one of my first stops when I do go though. Your life is right up there with those supermodels you looked up to, enjoy every minute of it. One of these days we will have to meet up for lunch and you can tell me all about the trip. Beautiful memories; beautiful pasta! 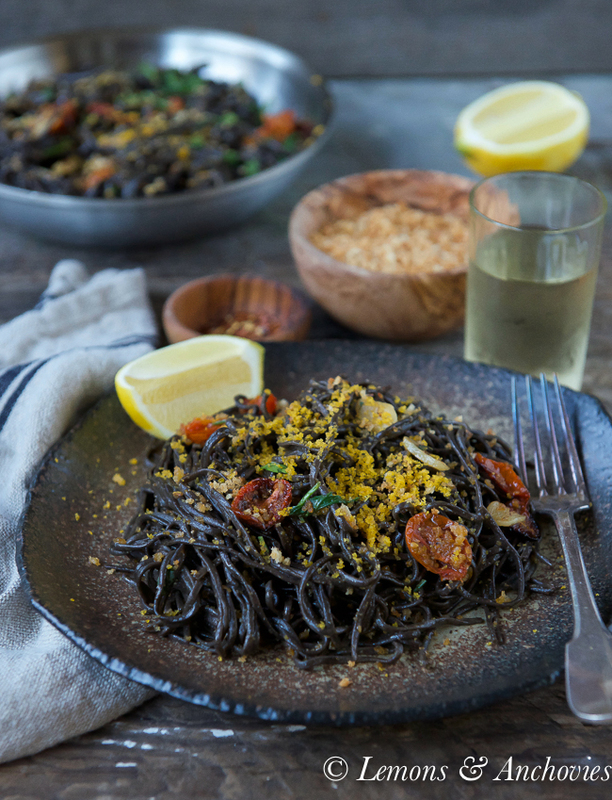 You know, I can give up bread; I can give up potatoes; I can even give up rice…but pasta, I can’t. 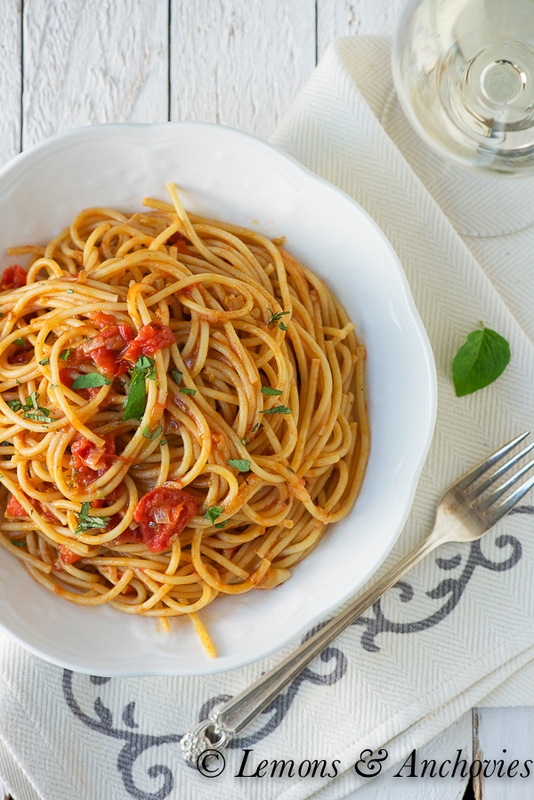 Pasta is pasta, and there is no substitution. Period. Your dish is oozing in Italian charm and gentility. Love it!